Bill Worrell, based in both New Mexico and Texas creates stone and bronze sculptures using a combination of self-expression including his personal experiences, southwestern culture, poetry, storytelling, comedy and artisan techniques. His most distinct sculptures are “shamanic deer” each with their own poem written by the artist himself. The shamanic deer’s are gazing upward towards the sky in celebration. Some have cloths around their neck, holding sticks, arrows or torches, adorned in jewelry and standing upon a rock foundation. Part of the sculptures have metallic emblems engraved with symbols expressing the story behind the sculpture and the poem in english to go along with them. Some art free-standing sculptures, while others can be hung on the wall and displayed as wall art. When reading the poem at first, the observer is deeply inspired then turning their gaze at the sculpture a smile and even a tinge of laughter as the deer shaman is both humorous and rejoiceful. 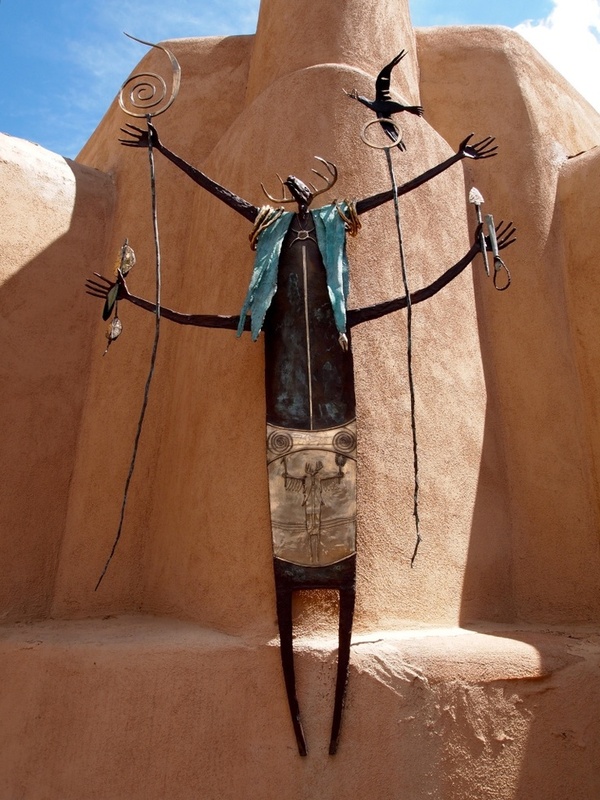 The sculptures are distinctly unique to the artist but demonstrate Southwestern style, Native American culture and expression specific to Bill Worrell.